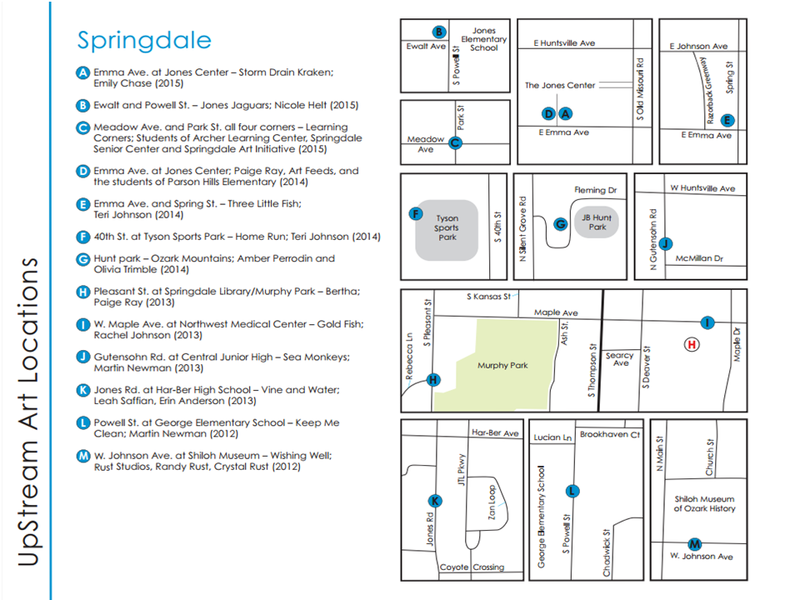 Storm drains located in Springdale flow into different waterways depending on the drain’s location. These painted drains may flow into: Lake Fayetteville, Little Wildcat,or Spring Creek. Eventually all of these flow into the Illinois River. All photographs take by Stephen Ironside of Ironside Photography.